No matter the time, no matter the place, no matter the day, our pets always make the world a little brighter. Regardless to how tough things may seem, pets eagerly provide comfort, sympathy, and unquestioned understanding when we most need it. This May 1-7, celebrate National Pet Week by recognizing our fun loving family members who give us everything, asking only for a smile in return…and maybe an occasional treat. Heinrich Zimmermann, a German writer and publisher, organized the first World Animal Day at the Sport Palace in Berlin, Germany. Over 5,000 people attended this first event. The first dog to actually have a major role in a film was Blair, a collie who starred in “Rescued by Rover”. Naturally, Blair played the role of Rover. A 2017 study confirmed that findings of leopard cats were undergoing domestication independently in China around 5,500 B.C. Analysis of dog and wolf genomes, along with numerous discoveries of ancient bone, suggests that humans domesticated our canine friends somewhere between 13,000 and 36,000 years ago. 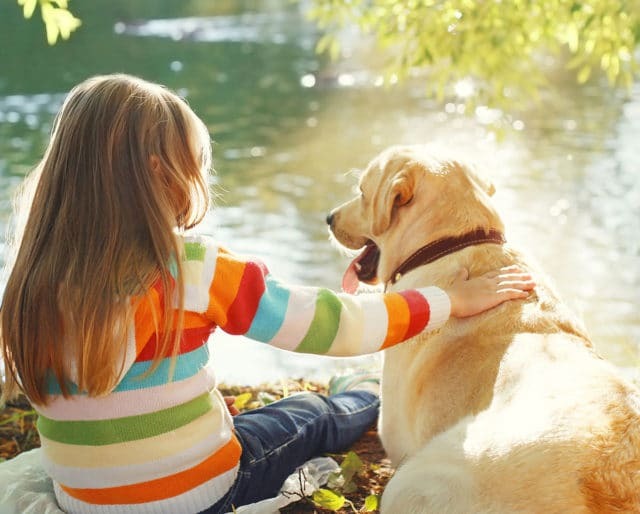 One of the greatest treats pets hope for is simply to get “out and about.” Take some time out of your busy schedule and enjoy the outdoors with your close friend who will be more than happy to lead the way. Our pets may differ from us in many ways, but this is one thing we can all agree on – everyone loves presents. So treat your “hard working” friend with a little surprise for always being there for you. Who doesn’t like a good party? Get together with your two-legged friends, invite them to bring along their four-legged counterparts, and enjoy a beautiful spring day as you all toss your cares aside. What's The Symbolism Behind Your Childhood Friend? Dogs have been with humankind for thousands of years as allies and protectors. They represent loyalty, nobility, service, and trustworthiness. From the Egyptian cat goddess Bastet, cats symbolize mystery, intuition, cleverness, and independence. Kept in domestic households by the ancient Greeks, goldfish were viewed as good luck, harbingers of abundance, harmony, and strong relationships. Aboriginal culture sees lizards as the guardians of the Dreamtime, the place where the future is formed through dreaming. They are often symbolic of analysis, purposeful change, and rest. Horses have been imbued with meaning and power for centuries, from Celtic culture to modern indigenous peoples. They symbolize unbridled energy, freedom, grace, and strength. On the surface, the success of our pets is based entirely on how we care for them. In the end, how they behave, interact, and thrive is dependant on how we raise them, and it makes us proud. It’s human nature, when told something, to respond and ask questions. Really though, sometimes we don’t want the answers to our most difficult questions right then and there. Sometimes, we just want someone to listen. While they may live among us, pets don’t truly live in the same world. They don’t care about wealth, social status, job titles, or even looks. Pets are the most accepting beings on Earth.